Until I tried it a few weeks ago, I didn't realize that I've probably been eating buttermilk cake my whole life. One bite, and I was sitting at the kitchen table at 345 Cleveland Avenue with my mom out front battling the overgrown azaleas and my little brother tearing around the living room in his Superman feety pajamas. It's ironic, since when I first read the recipe in Gourmet a few months ago, it seemed completely new and unfamiliar. As hard as I tried, I just couldn't place the flavor in my head the way I can with pound cake or red velvet or any of those other cakes I've eaten a million times. 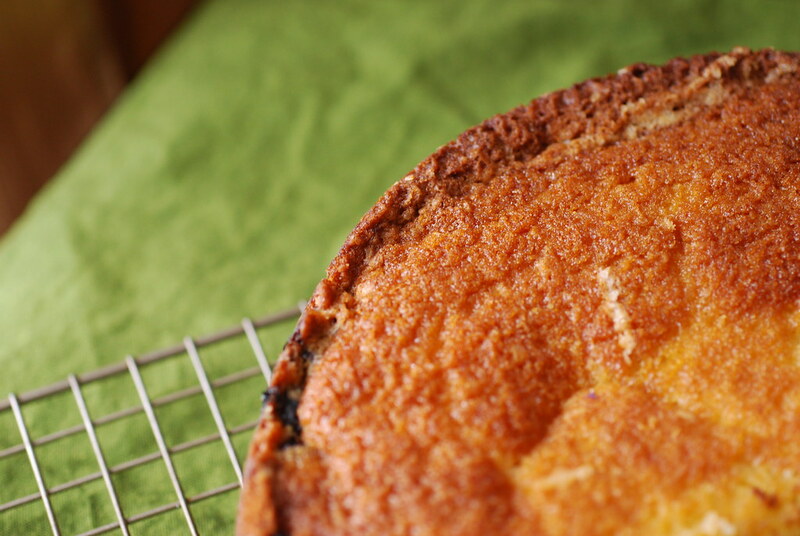 I had absolutely no idea what to expect from buttermilk cake--would it be tangy? sour? would it smell funny? I baked this cake (and the few that came before it) using a half-gallon of buttermilk that I bought from an Amish man at a flea/farmer's market in Stroudsberg, Pennsylvania. Eugene and I drove down there to spend the night at his family's weekend home in the Poconos, and stopped off at the market on the way to the house. Near the back of the huge lot there was a farm stand run by an Amish family with an impressive ability for totaling up long lists of prices in their heads. I bought a huge basket of pickling cucumbers (stay tuned for what I did with those), fresh peaches, sour cherries, and was just about to walk away when I noticed the sign for raw (!!!) milk hanging against the wall. It said "Raw Milk: Half Gallon, Full Gallon, Buttermilk also." I got all excited and told Eugene I wanted to get a half gallon of buttermilk before we left. He asked the Amish man if they had any raw buttermilk and I noticed that the man gave us a bit of a suspicious look before nodding and sending his son, an adorable little boy in overalls, to pull it out of the cooler for us. I briefly wondered why he looked at us suspiciously and thought perhaps his farm didn't have a permit to sell the raw milk. The little boy came back with the milk and went to hand it to me, but his father took it from him and placed it in a bag first. We paid and thanked him, and brought it back to the house. Since everyone was out and about, we tucked the buttermilk in the fridge and didn't look at it until we got home the next day. 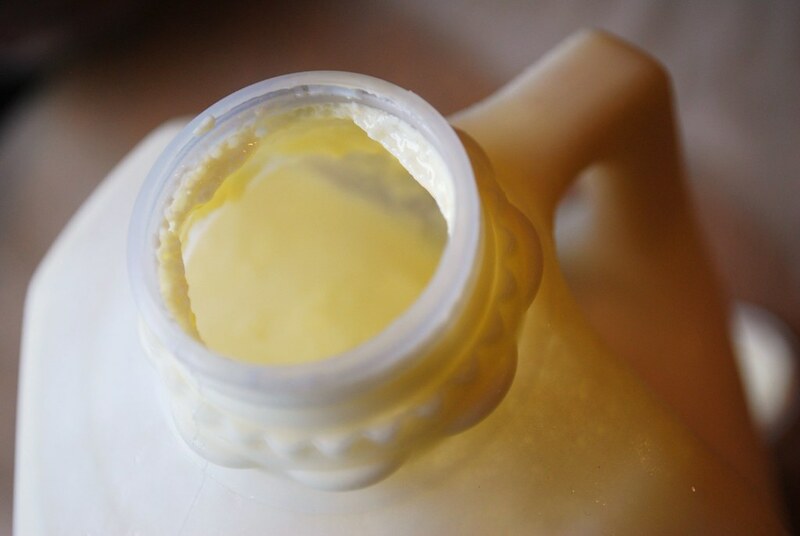 That evening, I pulled it out to take a closer look and was surprised to discover that the label on the bottle said it was "Pasteurized Buttermilk"
"What the heck?!" I shouted in disbelief. "How can this be raw milk if it's pasteurized?" Eugene came over to see what all my ruckus was about, and checked the label for himself. 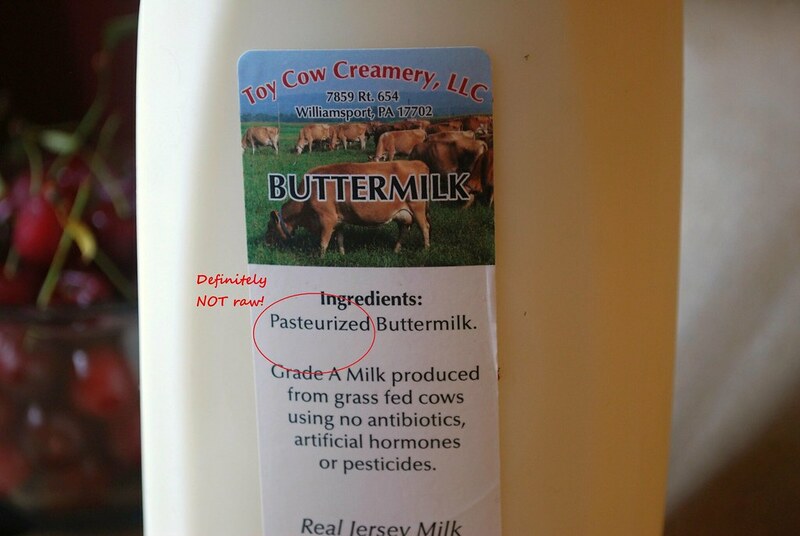 Sure enough, it clearly said that it was "pasteurized" buttermilk. I felt completely deceived. "That sneaky Amish man!" I shouted while shaking the buttermilk bottle in the air. "He totally scammed me!" The (non-raw, probably non-Amish) buttermilk was actually fantastic. It was thick and rich, with a creamy coating around the neck of the bottle...but I still couldn't help feeling a bit betrayed. After a while of stewing about it, I wondered if perhaps it was all a matter of punctuation. The sign, after all, had said: "Raw Milk: Half Gallon, Full Gallon, Buttermilk also." Should that comma after the "Full Gallon" really have been a period? Perhaps that's why the Amish man regarded me so oddly when I asked him for Raw Buttermilk? But if that was the case, why didn't he correct me? Is that why he didn't let me see the milk before I paid for it? 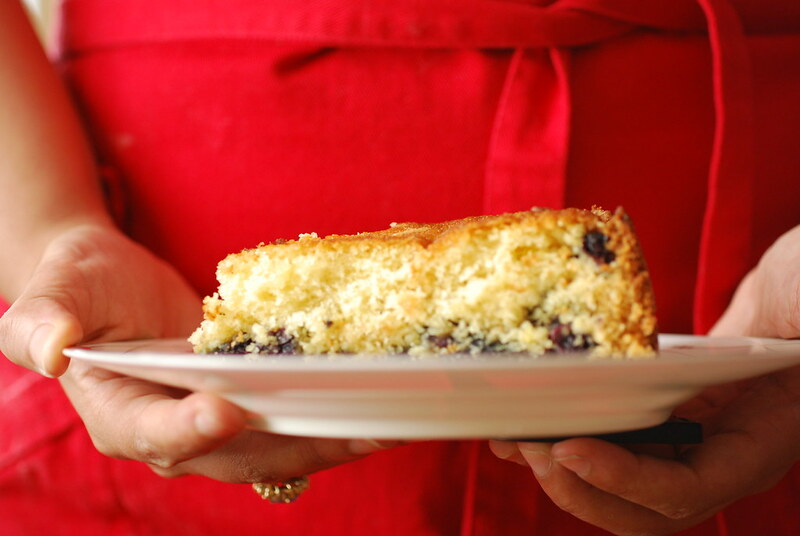 Recipe Notes: Regardless of what buttermilk you use, this cake will turn out fabulous. This recipe has been floating around the Internet the past couple months in a number of iterations. It originated, as I noted earlier, in Gourmet Magazine as a thinner version with raspberries. I gave the original recipe a shot, but felt like it needed a few adjustments. 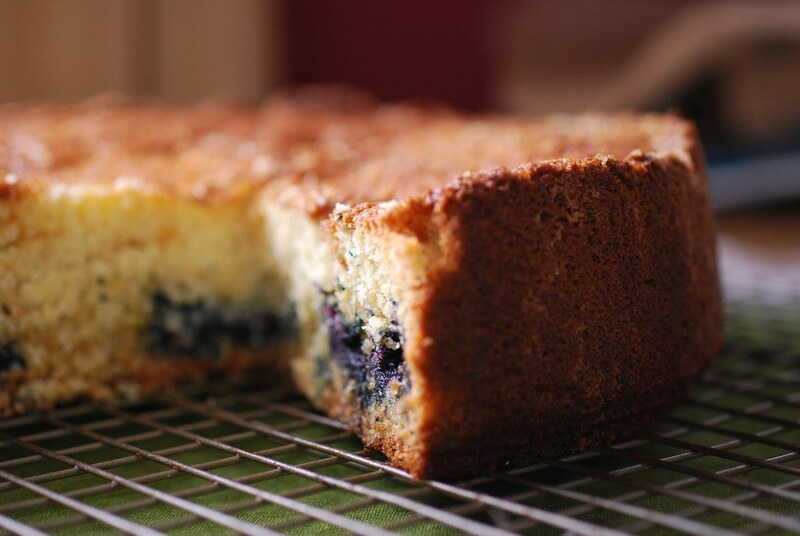 I didn't like how thin the cake was, so I double the recipe and replaced raspberries with blueberries since I can't stand those little seeds in my cake. A generous dose of almond extract, some lemon zest, and a sprinkle of sliced almonds elevate this into a much more substantial dessert, while staying true to the original rustic style. I also used a springform pan instead of the regular kind that Gourmet advised, and added a round of parchment paper; the berries have a tendency to sink and stick to the bottom so this makes cleanup a breeze and helps keep the cake intact. As one of the pretty parts about this cake is the sugary crust that develops on the top, using a springform pan also makes sense aesthetically since you won't have to invert it onto the cooling rack. Preheat oven to 400°F and place the rack in the middle. Butter and flour a 9" round springform pan and line the bottom with a round of parchment paper. Sift together your flour, baking powder, baking soda, and salt. Set aside. In the base of your electric mixer (or by hand) cream together the butter and 1 and 1/3 cup granulated sugar until pale yellow and fluffy. Add the zest, almond extract, and eggs, and beat well for an additional 2-3 minutes. Sprinkle the course sugar and the sliced almonds all over the top of the berries and place in the oven. Bake for approximately 30 - 35 minutes, or until a cake tester inserted into the middle comes out clean and the top is golden brown. Remove from oven and let cool in pan for 10-15 minutes, before releasing the sides of the spring form and sliding off bottom to transfer to a cooling rack (with the berry/sugar side up). Let cool completely before serving. 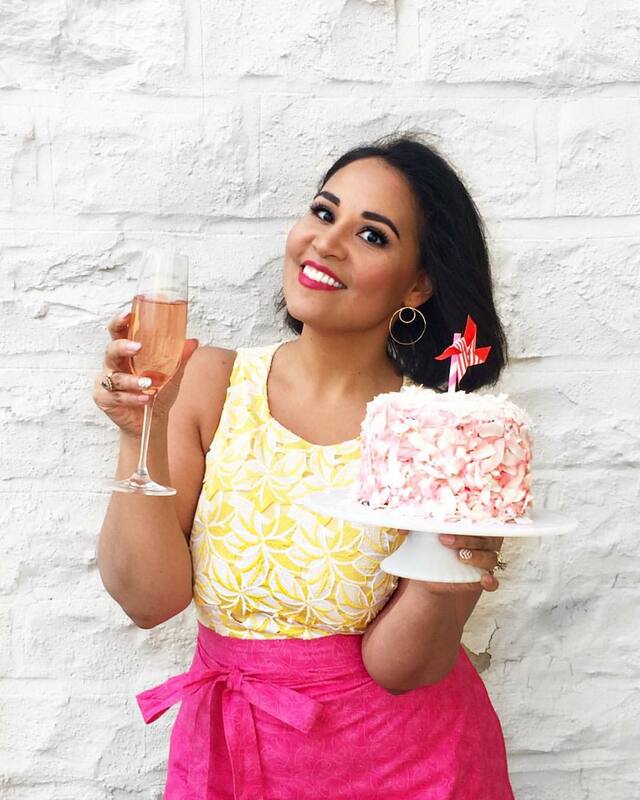 This cake looks fantastic, and perfect for using up some of that summer fruit I can't help but buy at every opportunity! Thanks for the recipe! God bless buttermilk! I always use it in my muffins! Nice story :) This cake does sound great - especially w. the 'amish' touch! I so enjoy looking at your photos and reading your recipes. Definitely a feast for the eyes. Thanks for visiting my blog too! That sounds and looks delicious. Great story too. 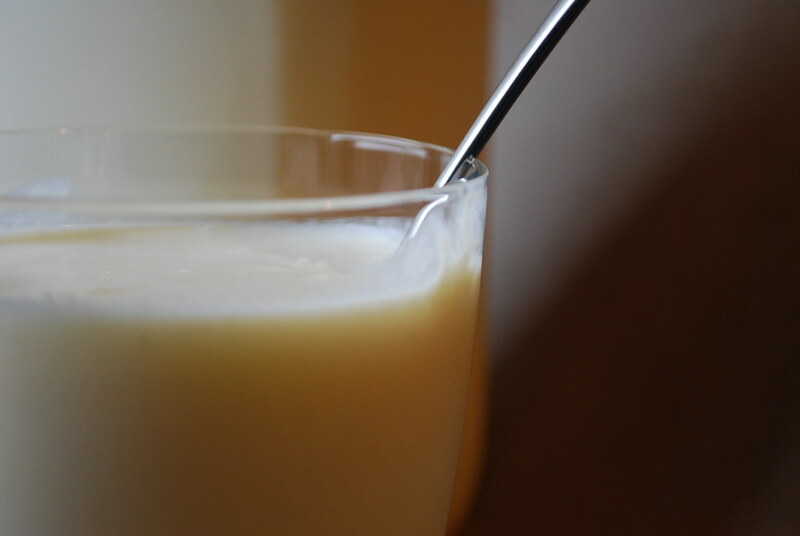 I've never tasted raw milk but I've read that's it hard to buy it in North America. No wonder you felt scammed! A wonderful cake! It looks so delicious! What I loved about this cake was the incredible moistness. I don't know if it was the buttermilk or what, but it was superb! I think your photography is scrumptious. Perhaps Betty Crocker's boxed version is just "yellow cake"? What IS yellow cake, anyway? Yellow cake is concentrated uranium oxide, obtained through the milling of uranium ore. Mmmmm uranium ore..